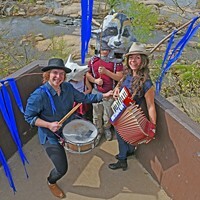 The Road to Richmond | Cover Story | Style Weekly - Richmond, VA local news, arts, and events. For this year’s Smooch issue, we asked people what brought them to Richmond and what made them stay. 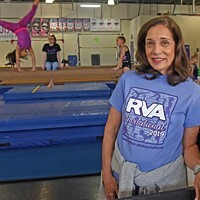 If there's one thing Richmonders seem to love, it's talking about how much they love Richmond. I'll admit, as a still relatively recent transplant — Richmond and I will celebrate our third anniversary this summer — I didn't get it at first. It's just a city, guys, calm down. Was it something in the water? What was I missing? Why was everyone so obsessed? I honestly couldn't tell you when the Kool-Aid kicked in for me. Maybe it was when I moved out of my generic high-rise apartment building and into a historic Fan charmer with tall windows and an arched entryway. Maybe it was when I transitioned from freelancer to full-timer at this here alt-weekly. Maybe it was when I bought my bike, or when I joined the Broad, or when I hosted my brother and sister-in-law for a weekend. Whatever the reason, one morning I woke up and there I was — a full-fledged Ellwood's shopping, Blanchard's sipping, Folk Fest attending, river trail running, Joe's Inn breakfasting, no-but-really-you-should-move-here Richmonder. It happens to the best of us, apparently. Now that I get it, I can't get enough of it. I ask everyone I meet how they ended up in Richmond, and it almost inevitably turns into an enthusiastic exchange of everything we love to do, see, eat and drink here. So for this year's Smooch, it's not just a love letter to Richmond — it's the how and why behind that love letter. We love this city for its stories, its voices and its faces. We love this city for the energy, the creativity, the passion, the loyalty and, let's be honest, the weirdness. It's a quirky, complicated, imperfect place to live. We're all here for vastly different yet remarkably similar reasons, and here are some of those stories. Alex Fisher ate the best burger of his life at Station II and promptly decided to move to Richmond. OK, it's a little more nuanced than that, but not much. Fisher was five days into a 200-mile James River canoe trip with a buddy when he got his first taste of the River City. The pit stop was intended to be just that — a shower, some hot meals, a real bed and a chance to regroup before returning to the water. But after one night in a city he'd never visited, he called his longtime girlfriend, now his wife, Maggie Christ, in Chicago and said "Richmond's great! We should move here." Christ, glad to confirm that Fisher was alive after several days in a canoe and off the grid, just wanted to hear how the trip was going, but all he could talk about was Richmond. Months later, the couple visited for a long weekend. Christ reconnected with a childhood friend living in the Fan, who happily stepped up as Richmond ambassador extraordinaire, introducing them to her friends and taking them on the grand tour. Their visit was about as Richmond as it gets — playing by the river on Belle Isle, lunch at Garnett's Cafe, a stroll through Hollywood Cemetery. "Everyone loved Richmond, and all these strangers made it their mission to get us to move here," Fisher says. It worked. 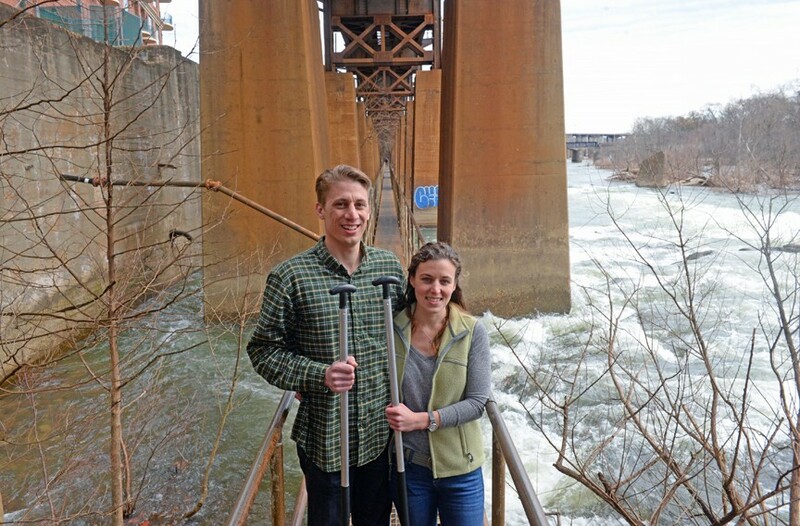 By the end of the weekend they were both sold, and by December 2015 the two were settled into their first apartment together in Shockoe Bottom. Now homeowners in Church Hill, they don't anticipate leaving any time soon. And much like the friends who embraced them on their visit years ago, they're constantly recruiting loved ones to also take a chance on Richmond. "All we do is try to convince people to visit us and move here," Christ says with a laugh. "And if someone doesn't love it as much as we do, we take it as a personal insult." When Summer Griffin was in high school, she begged her mom to take her to the big city to shop for a prom dress. The goal was to show up at the dance in something completely unique that none of her Suffolk peers could duplicate. 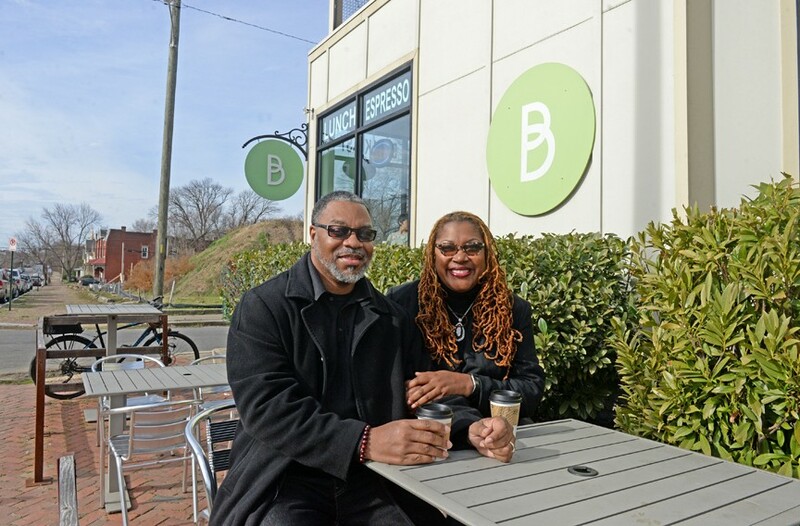 She ended up buying a gown at the Dillard's in Short Pump after coming up short at Bygones Vintage Clothing in Carytown, but Richmond still made a lasting impression. 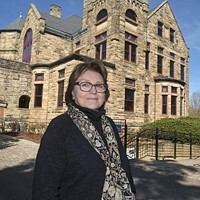 The following year, Griffin moved into the Rhoads Hall dorm at Virginia Commonwealth University. "I always jokingly call Suffolk the land of the peanuts. It's just so rural and so much open land, so it's pretty much the opposite of Richmond," Griffin says of her hometown. 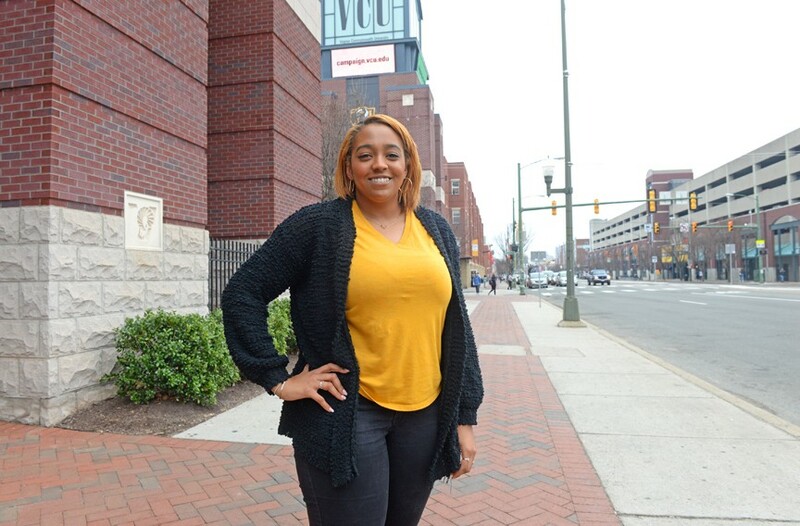 "I was interested in the city life the Richmond had, so that's why I got interested in VCU. It was the only school that I toured and I loved how it was set up around downtown Richmond. So I came here, then I graduated and I stayed here." She adored Richmond from day one, she says, but as a student it was easy to stay insulated inside the VCU bubble. By junior or senior year, while being inundated with the anxieties of graduating and well-intended questions about her future, Griffin began to see Richmond through a different lens. Much more than just the home to her school, it suddenly felt a lot bigger, with opportunities beyond college. After graduating in December 2016 she landed a job at Ocean Network Express, moved from the Fan into a Church Hill house with two girlfriends and easily transitioned from student to adult resident. A diehard Rams basketball fan, Griffin still finds herself on and around campus on the reg, and she says she's made friends and connections through alumni networks. And she's constantly trying to round up friends and family to join her in the River City. Last year's Watermelon Festival falling around her mother's birthday was a good step, she says, and she's working on convincing some fellow alumni who left after graduation to come back and experience Richmond as adults. Griffin had no idea that a decision she made as a high school senior would turn out to be so consequential, and she wouldn't have predicted moving to Church Hill, a neighborhood she rarely visited as a student. But like so many others whose loyalties to their part of town run deep, she can't imagine being anywhere other than walking distance to Union Market. She does still love Short Pump, though, where it all began. Frank and Sheila Battle made a deal in 1996: They'd both apply for jobs in one another's city, and whoever got an offer first would be the one to move. In their mid-20s at the time, she lived in Richmond and he was about 150 miles down Interstate 85 in the Raleigh-Durham area of North Carolina. Frank's new co-worker, who'd recently moved to the Triangle, had spent months convincing Frank to meet a friend of his, this woman he knew up in Richmond. The colleague couldn't explain it, he just had a feeling they'd hit it off. A tragedy in Sheila's family delayed their first planned meet-up. But weeks later, after exchanging letters and pictures in the mail and racking up their phone bills, they met face-to-face for the first time. Despite constant turmoil in Sheila's life, including a murder trial and a cancer diagnosis, she says Frank "just wouldn't go away." Not that she wanted him to, but she says she didn't want to impose the chaos of her life onto such a kind, gentle, drama-free person. But when he made his first solo trip to Richmond in a snowstorm and subsequently sat on the bathroom floor lovingly holding her hair as her chemotherapy treatment ravaged her stomach, she says she knew he wasn't going anywhere. 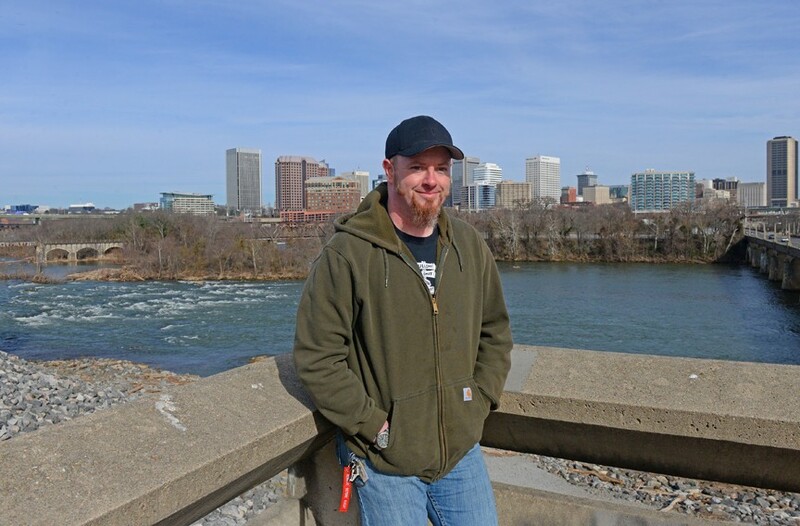 After about six months of dating long distance, Frank landed a government job in Richmond. He says the transition was a smooth one. Richmond reminded him of Raleigh-Durham in that it was neither too big nor too small, and it had that slower-paced lifestyle of Southern cities that he'd grown accustomed to in North Carolina. Sheila had been in Richmond since attending Virginia Union University as an undergraduate, so he learned his way around through her. "It got our relationship growing as well as getting to know the city," he says, reflecting on the adjustment to a new job, new relationship and new city all at once. "It just seemed right." 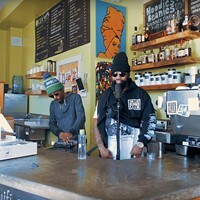 The Battles live in a South Side home they call the Battle Station with their two teenage daughters, and together they host a podcast called Soulful Conversations with Frank and Sheila. Dave Amos was 25 when, in his first-ever transAtlantic excursion, he flew from Scotland to Richmond. His friends and family were "quizzical" to say the least — the travel plans centered around a woman he'd never met in person. Amos and the woman he'd met on Match.com had relied entirely on emails, long-distance phone calls and handwritten letters as the foundation of their relationship. Online dating had been available for several years at that point, but Skype had just emerged on the internet that year, and the prospect of cultivating a romance across an ocean was far more challenging than technology affords now. His now wife, Alicia Amos, picked him up at the airport, and for the next week and a half he discovered Richmond at her side. "Everything, from the minute I got off the plane, I just soaked up like a sponge," Amos says. "It was a total information overload. I was fascinated by everything and it was literally like a brand new world." He's a picky eater, and wasn't sure about some of the items piled onto his plate at a family dinner with Alicia's parents, like the barbecue and cornbread. And he certainly wasn't impressed with the American concept of tea. 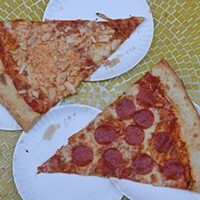 But in the name of favorable first impressions he ate every bite without complaint and choked down the syrupy, sugary concoction known as sweet iced tea. Toward the end of the trip, Amos made another decision that prompted his and her loved ones to raise some eyebrows — he proposed. She said yes, they immediately began the process of procuring him a visa, and months later he bought another plane ticket to Richmond. One-way this time. The couple lived in Forest Hill for a few years before buying property in Powhatan to be closer to Alicia's family, where they now reside with their 7-year-old daughter. Fifteen years later, Amos has mostly adjusted to the American South. He says Powhatan doesn't quite have the rolling hills that he loved in the Scottish countryside, but it's close enough. He still can't get behind sweet tea, though. Greg Lucyk's first impression of Richmond? It was "very quaint and very slow." A young lawyer who'd been clerking for a judge in Philadelphia, Lucyck initially visited Richmond for the same thing that brings a lot of us here: a job interview. And despite feeling like he'd gone back in time, bewildered by how slowly everyone seemed to walk, talk, drive and do just about everything else, he packed up his life and moved into a Fan apartment in 1979. Lucyk had worked for Community Legal Services of Philadelphia, helping recipients of public benefits navigate the convoluted system. 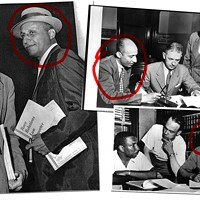 His primary role was to ensure people who needed government assistance were properly utilizing the programs to their fullest extent. Upon his relocation, though, he quickly realized that Richmond was far behind larger metropolitan areas when it came to public services. Rather than ironing out inefficiencies in the system as a lawyer at the Virginia Poverty Law Center, he says, he had to focus on getting people to even participate. There was little outreach to communities in need at the time, he says, and there was "much more of a stigma" attached to the use of public services, which was different for him. "We were addressing issues on a much more fundamental level," Lucyk says. "It wasn't about just trying to correct deficiencies in the process, it was about trying to implement the processes to begin with." Now retired, Lucyk enjoys a quiet lifestyle in the Westhampton area. 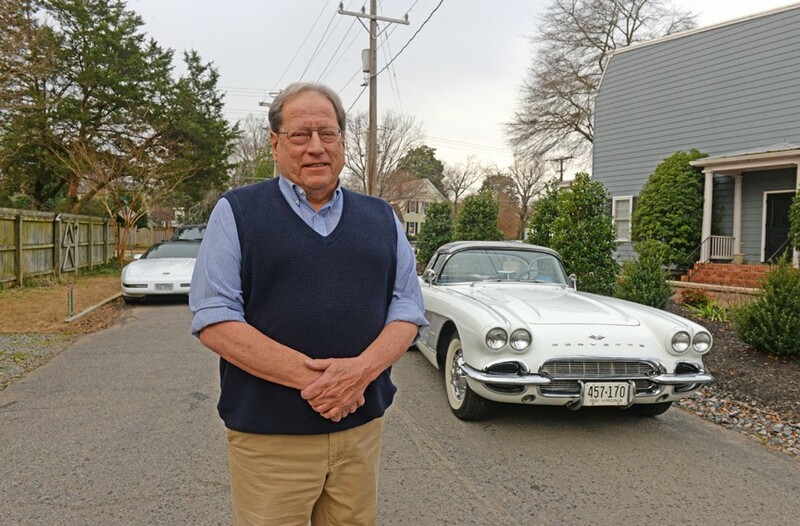 A self-proclaimed "car guy," he loves the NASCAR culture in Richmond and is the proud owner of two Corvettes and an MGB. He considers himself a "Virginian by marriage" because his wife is a native, and he did eventually get used to the pace of Richmond and its residents. "I know I'm home now because when I go back to Philly to visit, I can feel my blood pressure going up," he says. "It's congested, crowded, noisy, the drivers are crazy and I find myself just ready to get back to Richmond to the comfortable life I live."